Last year the Big Summer of Netball was a huge success and we want to follow on from that and make this years Big Summer of Netball a Bigger Summer of Netball. If you can help to achieve this by setting up a new summer league, tournament or festival then we want to hear from you, as we might be able to help! 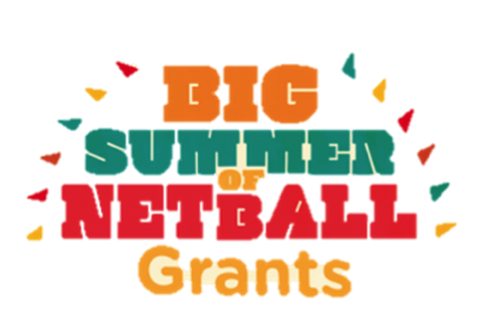 England Netball is offering grant funding to organisations to help support setting up new competition opportunities this summer. All you need to do is complete the short application form and send it to us at BigSummerofNetball@englandnetball.co.uk. Please see the eligibility criteria and terms and conditions in the information sheet for more details. The Community Sport Activation Fund is a £40 million Lottery revenue fund developed to support grassroots activity at a very local level. The Fund was designed in response to demand and will aim to unlock potential and resources. We will not prescribe how projects will deliver but will invest in what works best in different areas, based on local evidence. The Surrey County Netball Association operates a Sports Grant Scheme to support Clubs, Individual Players, Officials and Volunteers to ensure the individual or club will see the benefit of the efforts being made to progress netball in Surrey. The grants will not be excessive but each application will be judged on its own merit. Official Sports London is an exciting bursary opportunity that supports Londoners aged 16+ to complete sports officiating qualifications, volunteer or work as officials and maybe even get involved in volunteering or officiating at the London 2012 Games. It now includes netball and individuals can apply for the cost of completing a Beginners, C or B award.